Fluid Damp-Course System. Pouring fluid into applicators. 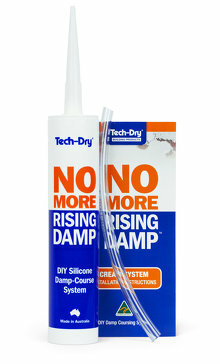 This guide will inform you about what rising damp is, how it affects your building, and how to fix the problem using modern silicone damp proofing techniques. Rising damp is an issue that has troubled builders and homeowners since Roman times. Rising damp is the term used for the slow movement of water from the lower parts of walls to higher parts of the structure. It is a common problem affecting older homes as well as newer buildings that may not have been correctly constructed. Rising damp occurs when groundwater rises up through tiny cracks in the brickwork or masonry of a structure through a process called capillary action. When moisture infiltrates the walls of a building it can cause damage to its integrity and physical appearance. 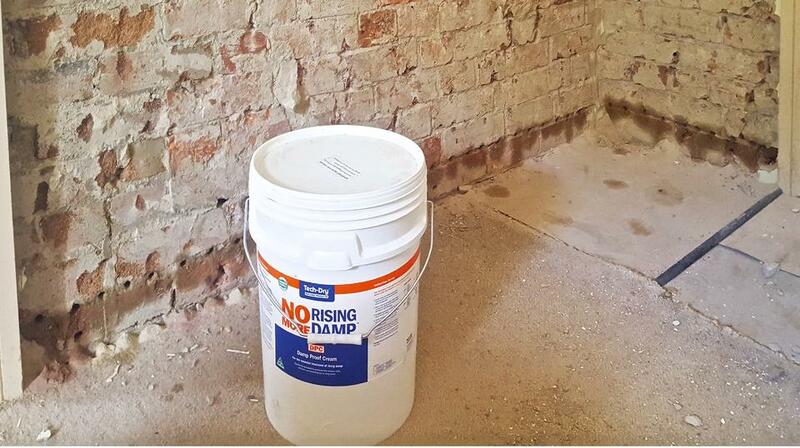 Rising damp is prevented in modern buildings through the use of a damp-proof course – a waterproof plastic membrane that goes along the mortar line of a building. 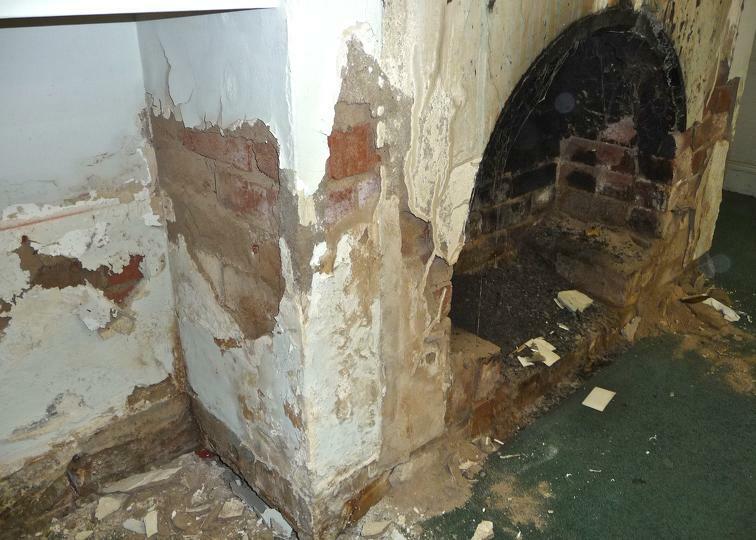 Older buildings or buildings where the damp-proof course has been damaged – are susceptible to damp. What does it do to the building? 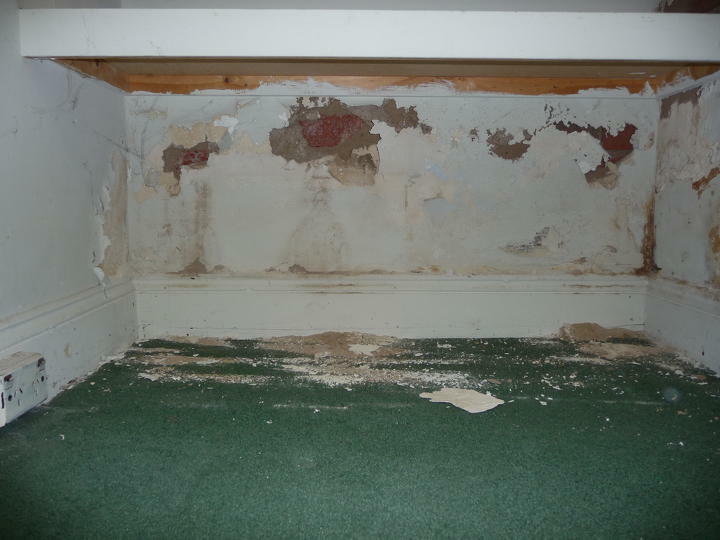 Rising damp can cause a number of aesthetic, structural, and even health related problems. Aesthetically, rising damp can peel, crack, and bubble paint and plaster work, create ‘water-tide’ marks that show where the water has risen to along walls, as well as efflorescence (a white salt deposit which also looks unsightly on walls, floors or ceilings). 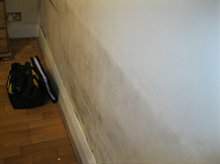 Damp conditions also encourage the growth of mould, which can be a significant health hazard. The damp itself can be a factor in health conditions such as asthma, allergies, cold and flu. Rising damp can significantly affect the integrity and value of a property – and superficial treatments such as repainting, coating, or cleaning the surface won’t make it go away. How do you fix rising damp? The only way to treat rising damp is to create a new damp-proofing course to prevent moisture movement through the structure. 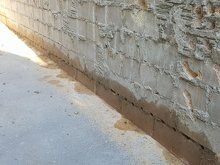 Historically, walls were cut into and masonry removed to install a new physical damp-proofing course along the masonry line. This process poses a number of problems for most structures. For one, it’s a lengthy, difficult, and expensive process which involves physically cutting up – and repairing – parts of your home or building. It’s also risky for old buildings that are most affected by rising damp – as they are more likely weaker structures where further damage to its integrity should not be risked. 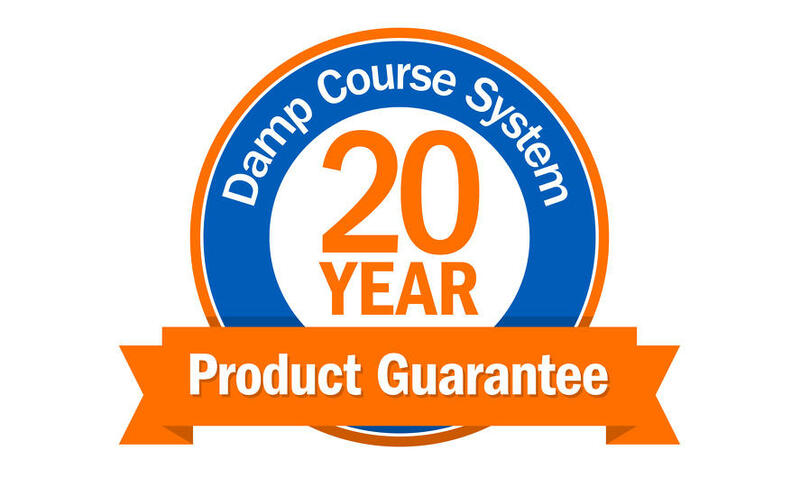 Our recommended course of action is to use damp-proofing course technologies that protect against rising damp without the need to damage your home or building. The DPC Cream and Fluid damp-proof course products can waterproof and saltproof a building by injection them into a structure’s masonry. To do this, holes are drilled in the brick or masonry, then the fluid or cream is injected, creating a barrier to rising damp. 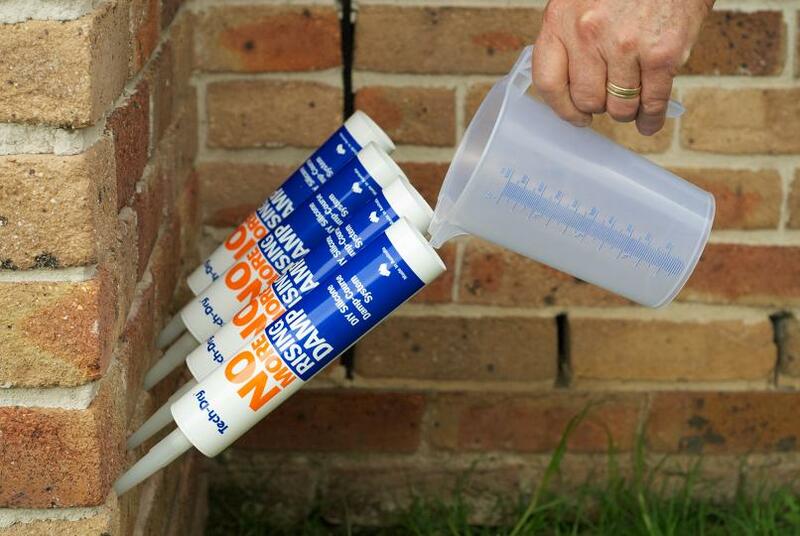 These products penetrate brickwork and mortar to form a permanent damp-proof barrier. 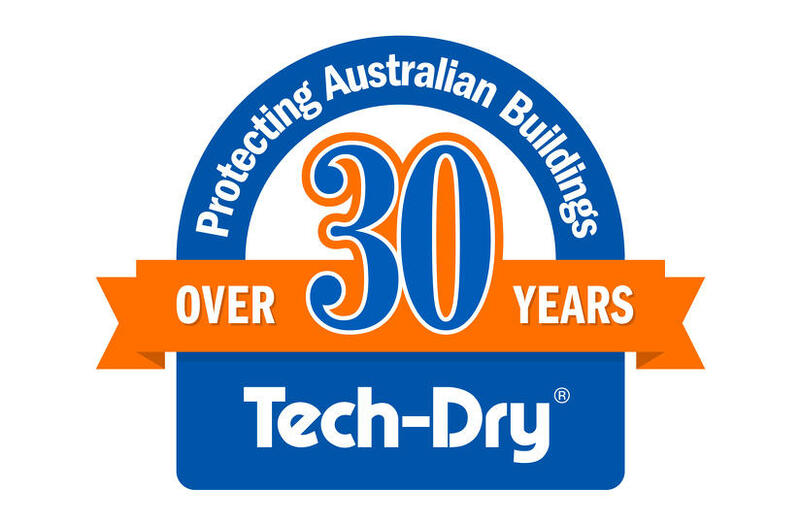 Tech-Dry’s products are backed by a 20 year product guarantee and are formulated and manufactured in Australia. 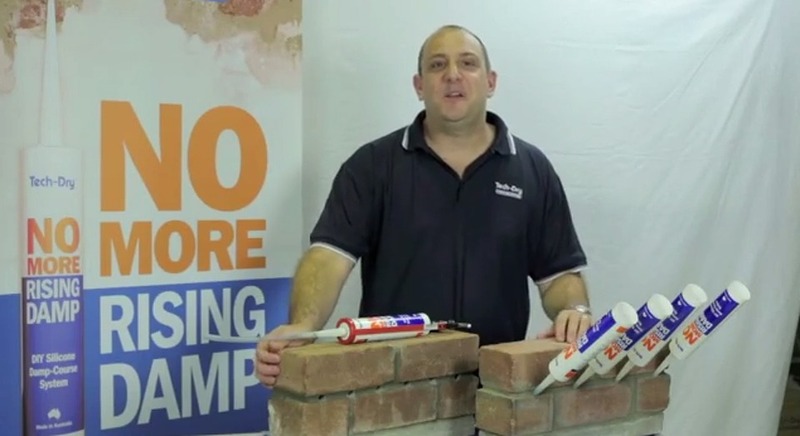 Tech-Dry has been the number one supplier of damp-course systems for the past 30 years with over 30,000 installations performed Australia wide. Tech-Dry’s products are used by professional damp-proofing companies, builders and DIY home-owners alike. If you have any questions about the products or installations please call 1800 832 437 and our technicians are happy to help.